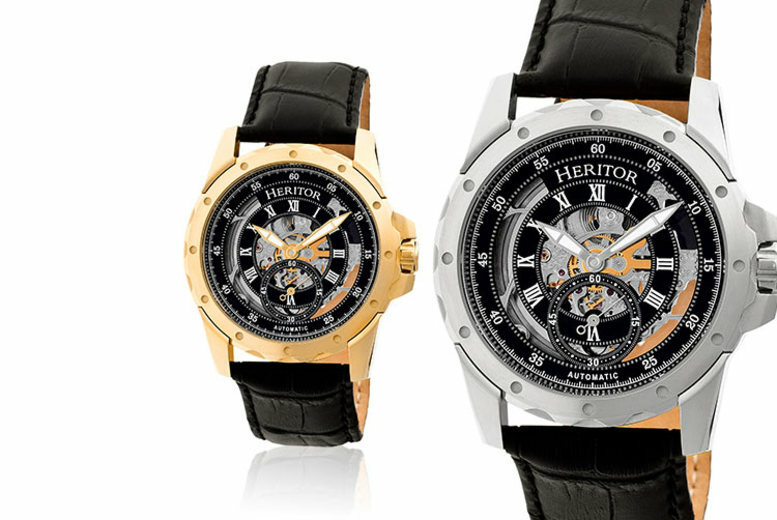 Get a men’s Heritor luxury automatic ‘Armstrong’ watch. Unique skeletal analog dial with 22 jewels, bold numbers and Roman numerals. Brushed stainless steel case and sapphire-coated mineral crystal. Smooth, jewelled, automatic movement. Genuine, premium leather, black crocodile-embossed leather strap. Choose from six classy designs! 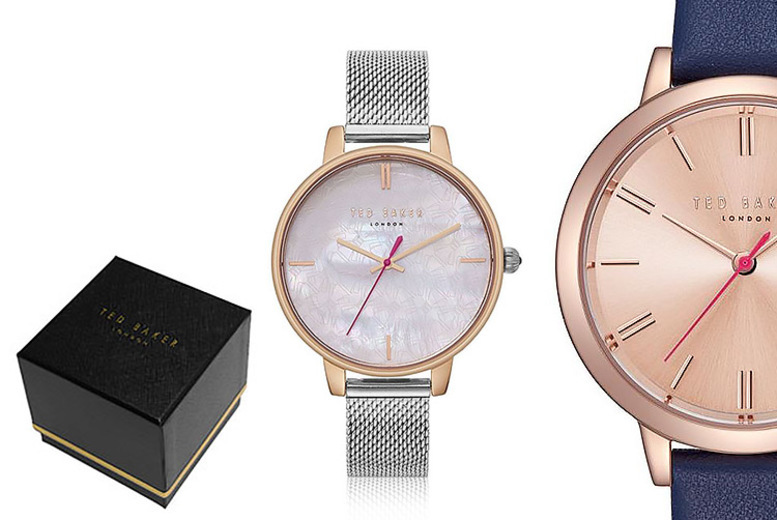 Get a ladies Ted Baker watch. Choose between 16 designs! Massive range of round dial designs and colours. Stainless steel or leather straps. 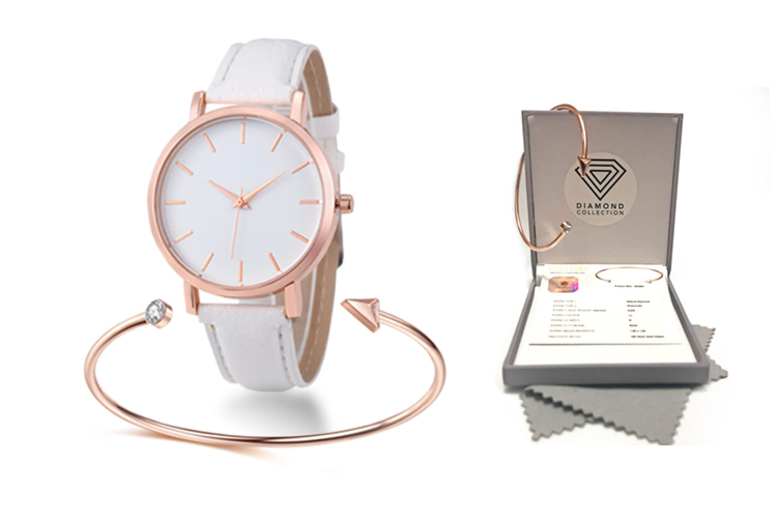 Each watch also includes a free Daisy Dixon bracelet! 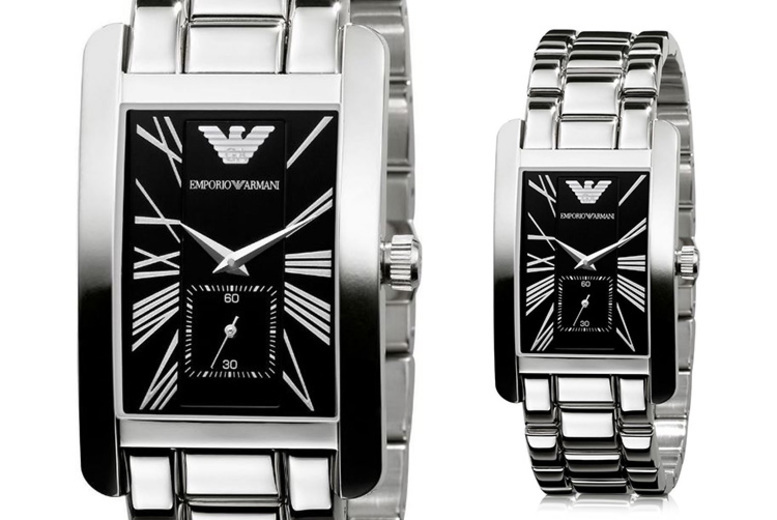 Get a men’s Emporio Armani AR0156 square watch. Featuring a stainless steel case and strap. Stylish black branded dial and sub dial! With sleek Roman numerals and a quartz movement. The perfect addition to your everyday look! Case width: 32mm. Get a stunning ladies’ watch! With a glittering ‘starry sky’ dial in a metal case. Finished off with a leather strap. Available in four colours: black, gold, pink or silver. A fabulous accessory for any outfit! 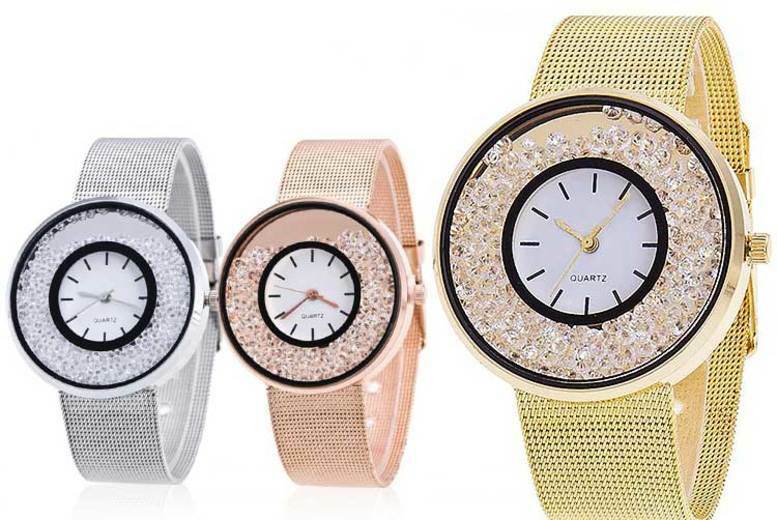 Get a ladies rhinestone quartz watch. 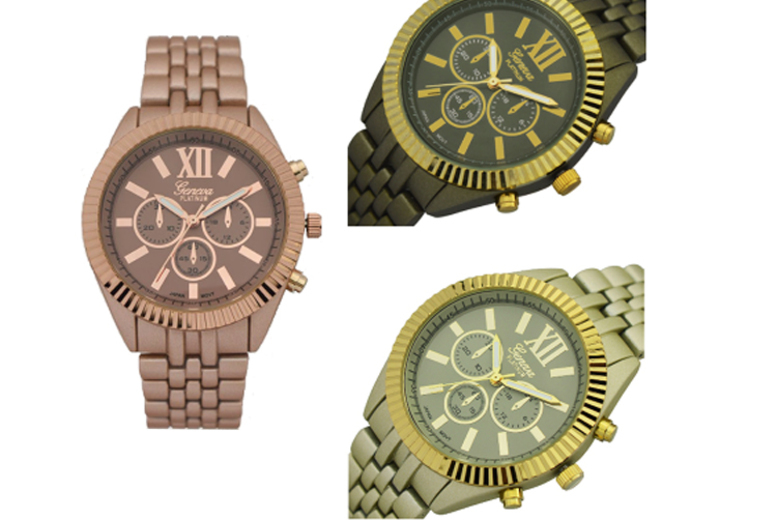 Choose from a gold, rose gold or silver coloured watch. The perfect accessory for any girl that loves luxury! See full details for complete product specifications! 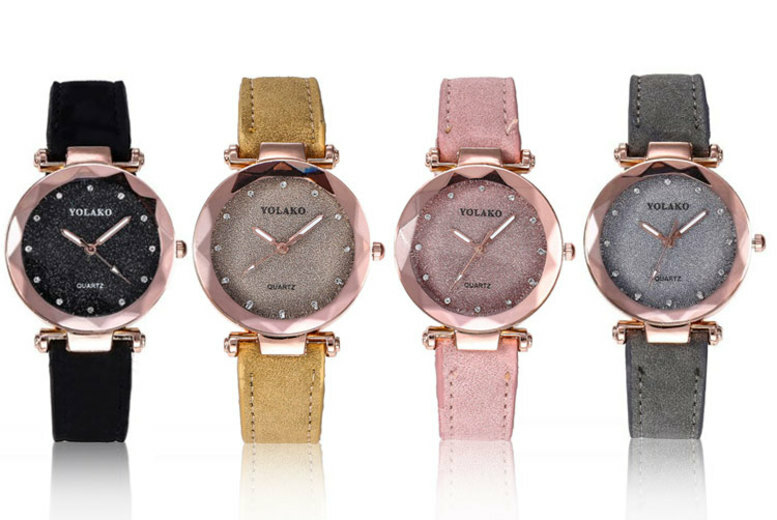 Splash out with a delicate, stylish ladies’ watch. Available in khaki, champagne or rose colours. Keeps perfect time with a flawless mechanism. Looks great with any outfit. Round faced dial featuring Roman numerals. 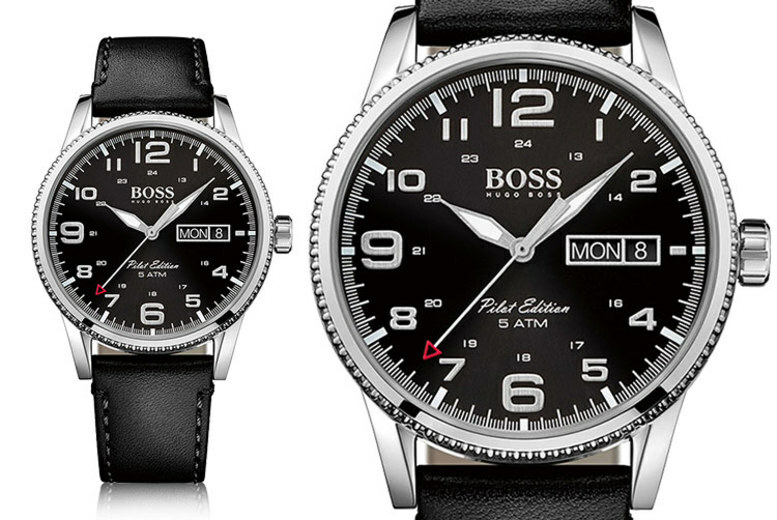 Get a Hugo Boss men’s pilot watch. With a three-hand watch mechanism. Has a black dial colour and leather strap. Plus a pin buckle. With a water resistance of 5ATM. 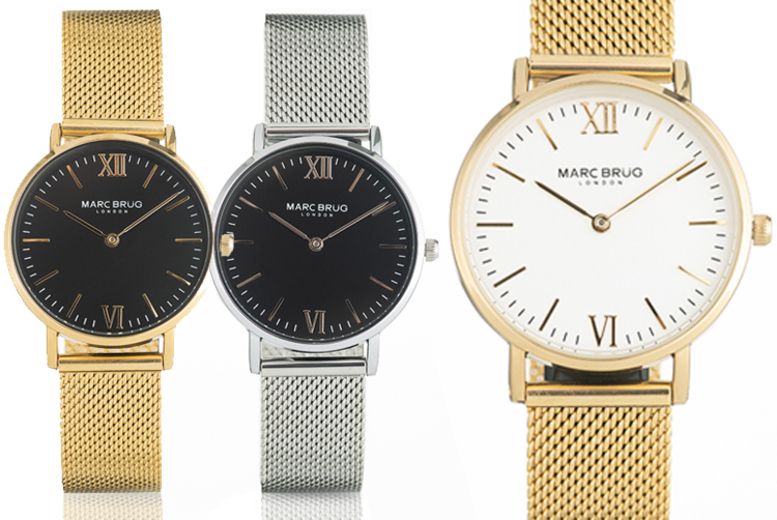 Get a stylish timepiece with today’s deal. The strap is available in gold or silver colours. Choose from a black or white dial. Sleek and contemporary ladies watch. Named after the historic area of Paris, this accessory brings the magic of the city to your wrist. Get an Eton ombre watch. With a gorgeous two-colour bezel. Choose from four designs. A stylish accessory to accent any outfit! An adorable Christmas gift! 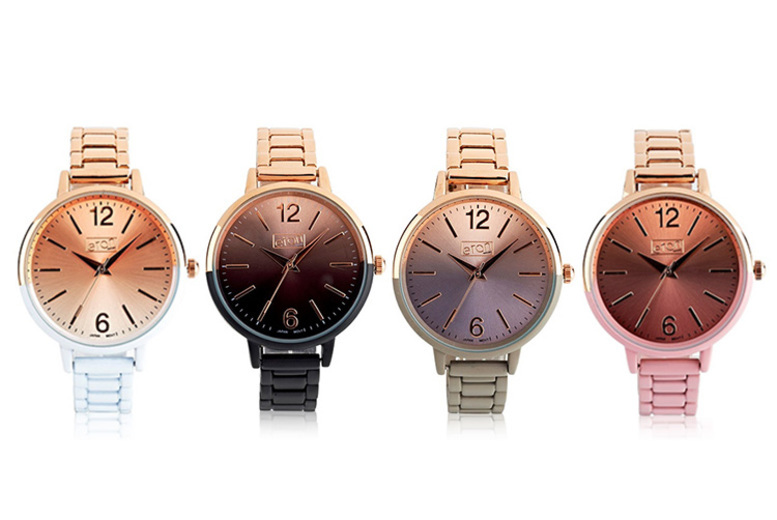 £14.99 (from Eton Watches) for an ombre watch – choose from four designs! Get a stylish ladies’ watch. With a rose gold coloured stainless steel case. And a leatherette strap in one of four colours (see below). Comes with a matching arrow bangle with a 0.014 carat diamond and crystal. A great gift for her!